Here are the tools you need to educate, spread the word, raise awareness, and show support. That's the good news. 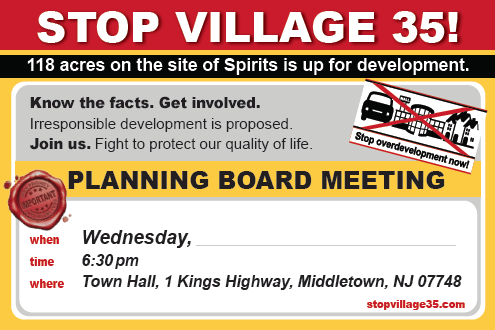 The bad news is how Village 35 will impact the community we choose to live in. Get the word out. Display a magnet or two on your car . Pass out fact sheets and meeting announcements. And, get social. 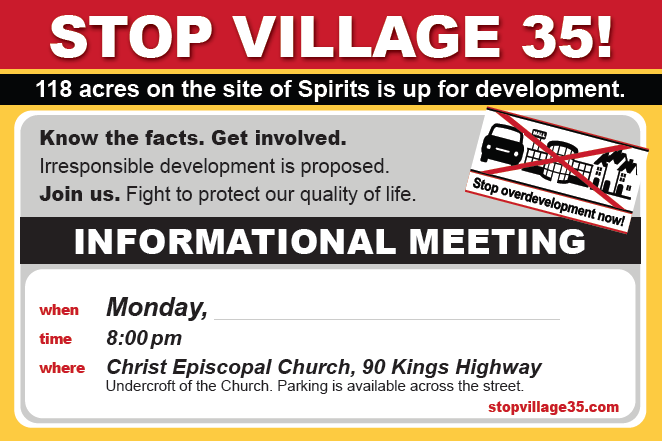 As a unified community, we can help to stop the irrational overdevelopment that Village 35 presents. OUR NEW MAGNETS ARE IN! We now have fabulous new car magnets for sale. 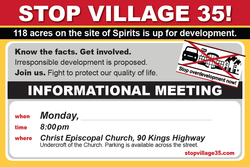 Spread the word while motoring around town. 3 for $10 (buy two and get one free to give to a neighbor). Like Us on Facebook, comment, and share posts. Get a conversation going. Let's create awareness through engagement to motivate people into action. If you are Facebook savvy, your help is needed! Please contact us. Download and print the fact sheet. Share it with neighbors, co-workers, fellow group member, everyone you know! Calling all active Facebook users. Also, those of you who want to make your concerns known on the site. Let's get social to spread the word. 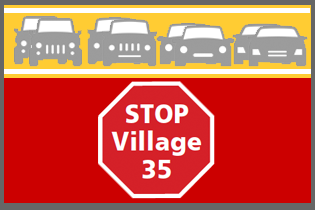 Make your opposition to Village 35 known with a Message in a Bubble. 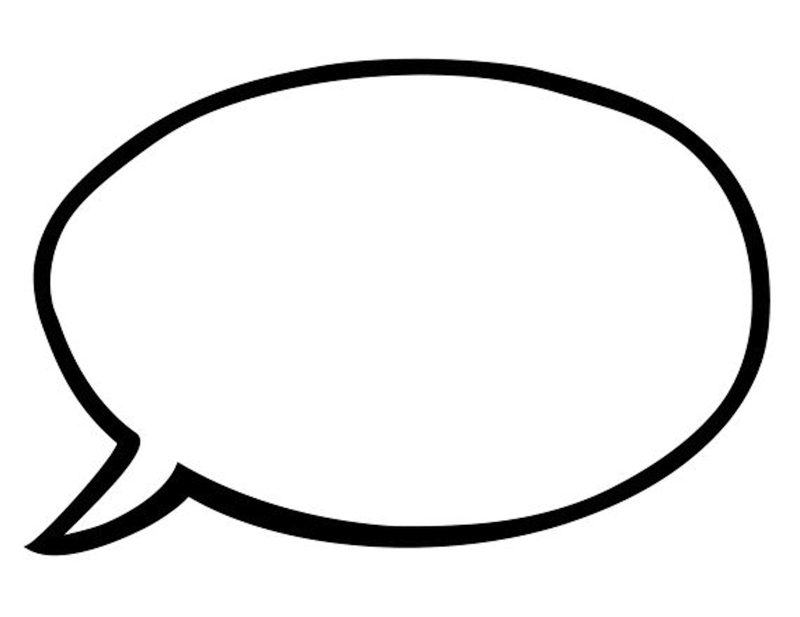 Download and print the speech bubble. Write a caption and take a picture. Post the photo to your Facebook page & share it with us on Facebook. Or, email your photo for possible publication on the site. 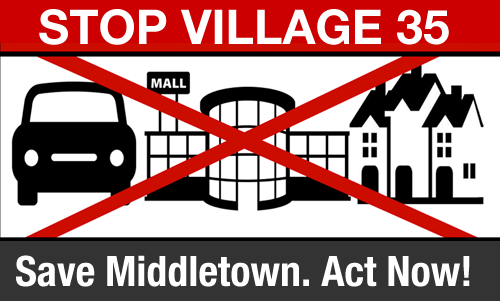 We have a lot of older people in the Middletown community who are aware and involved in the Stop Village 35 initiative but do not use email. We made these fill-in-the-date post card mailers for them. 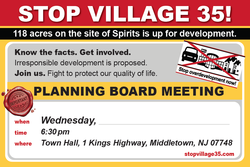 The postcards have another use too, they are good leave-behinds to remind newbies of upcoming Planning Board Meetings and our Stop Village 35 Informational Meeting dates. LAWN SIGNS ARE CURRENTLY SOLD OUT! To be notified when signs are available again, please Email us for information on where to buy and pick-up arrangements. 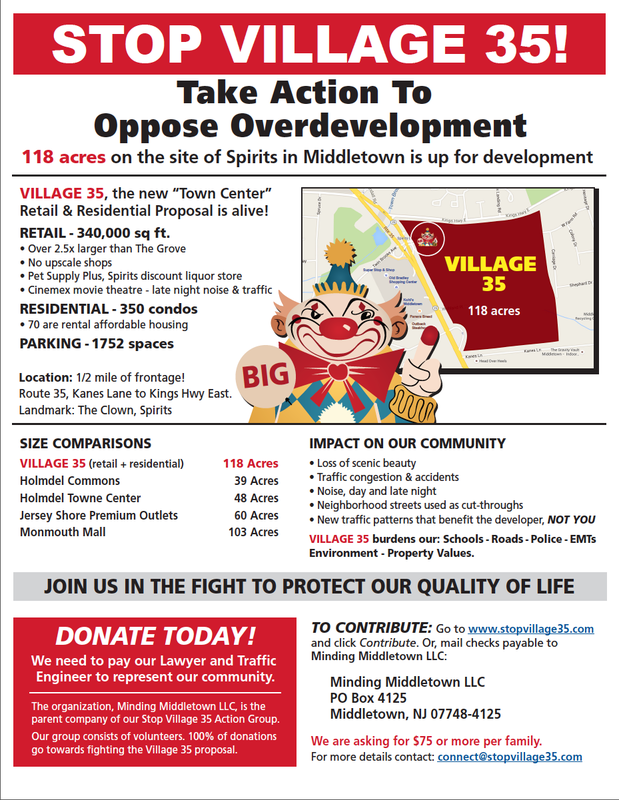 ​The following is a playful document about a serious subject, the development proposals for Village 35 and their potential impact on Middletown. Use the flash cards to familiarize yourself with the facts. 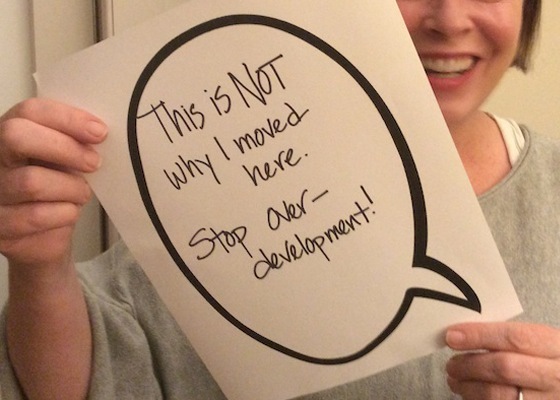 The idea is to help you feel comfortable with the facts and revved to educate your neighbors. The devil is in the details and there are many dreadful ones to know.